Daniel Fast - The Daniel fast drastically restricts normal food intake by cutting away many of the foods you commonly eat to satisfy your appetite. During the Daniel fast, there will be a sense of hunger much of the time and a sense of sacrifice even when we eat. We recommend that you restrict yourself to only one meal a day, leaving a small hunger. • Vegetables, preferably fresh or frozen vegetables. Vegetables such as potatoes, beans, and soybeans will help provide substance. • It is advisable to take vitamin, mineral, and possibly protein supplements during the fast. You may also include various nuts to serve as a protein supplement. Pray for our church as a whole and our leaders. 7th – 13th: Focus on you your personal request what you want God to do for you. Get your journal out and make your request know to Him. If you want to be free from sin ask Him to help you, you want baptism of the Holy Ghost ask Him. You want to be more faithful ask Him. 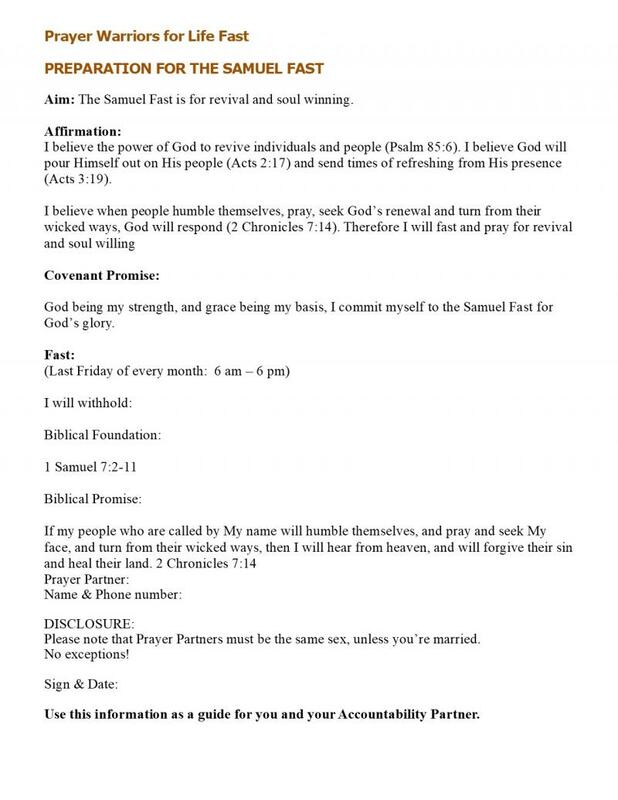 14th – 20th: Pray for your family make this very personal about your children extended family. Siblings, cousins, Aunts, Uncles and all of your family. Ask God to lead you in how to interact with family pray for God to heal your family. Be open to hearing His voice how to reach out to family and take the first step in the healing process. Join @YouVersion plan '21 Day Fast'. Nothing but vegetables and water. And not just for three weeks, but more likely for the duration of their training in Babylon! This response from these four young men didn't come from a fear of getting caught. It came from devotion to God's commands already formed in them before being taken from their homeland. During this fast, you'll have many opportunities to deviate from your commitment--especially if you're fasting alone or if no one will find out. Pray that God will give you the resolve and courage to stick to the standards you've set and honor Him no matter what. This longest psalm in the Bible is primarily about a passion for God's Word. These 21 days you've set apart will be much richer by combining Bible reading with your fasting and prayer. 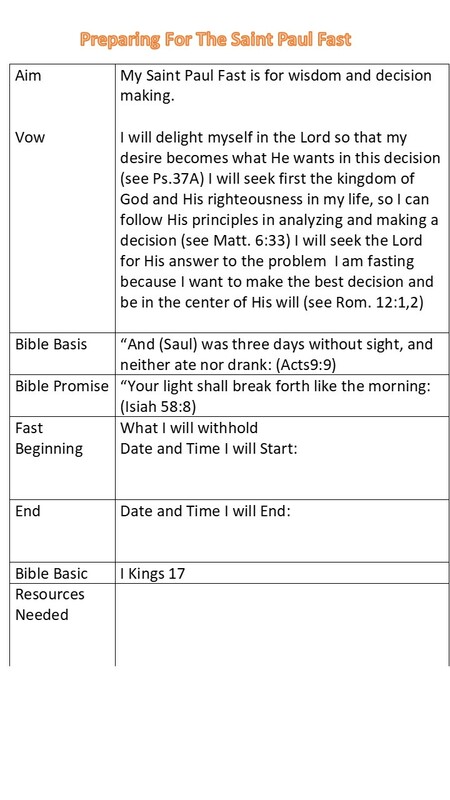 You may want to make plans to start a reading plan that takes you all the way through the Bible. How would you describe your passion for God's Word at this moment? Pray today that God will increase that fire in your heart during this time. This chapter has many convicting challenges--one being for you to match your faith with action. Don't just contemplate God's Word--do what it says. You are now beginning the second half of your fast. Reflect on whether your fast would be characterized more by listening or doing. Ask God for wisdom about where He wants to lead you during this second half of your fast. Devotional Food is a source of comfort for many. Reflect on how much your thoughts have been overtaken with craving certain foods, missing the things you're fasting from, or even how much weight you could lose. Is it often? If it were alcohol or a harmful drug, would you consider yourself addicted if you were this consumed with your desire for them? For many, this fast can begin an awareness of a harmful place food may have in your life. It can reveal an addiction. Pray that the God of compassion and all comfort will become your primary source of comfort. Ask Him to use this experience with suffering to remove anything in your life that has taken the Holy Spirit's place as your Comforter. Devotional You are chosen, holy, set apart, a royal priest--you are a child of God. You may be in need of an anchor right now. Set Christ as your cornerstone today. Write down the ways He has brought you from darkness into light. Spend time in prayer today thanking God for beginninga work in you with His Son set as the foundation for Him to build upon. You're starting the third and final week of your fast. If you're fasting with a group, take time to reflect together and celebrate what God has begun. 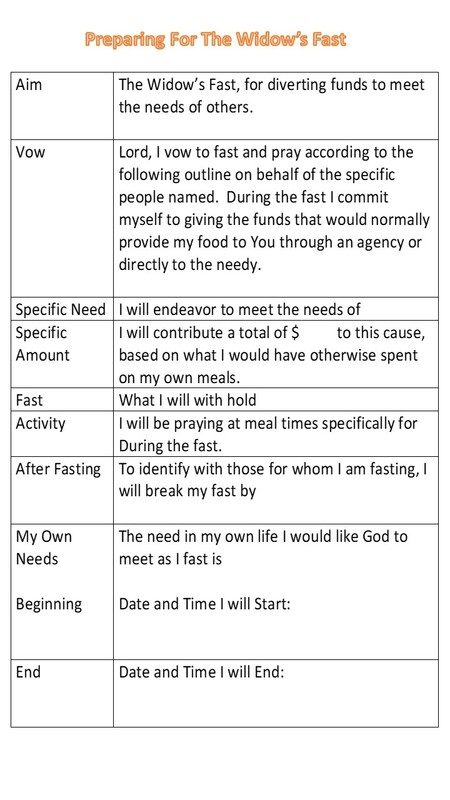 If you've been fasting alone, be sure to write down your experiences. Even though you may feel like you're in a groove now, for many this final week will be harder than the others. Ask God to search you and begin to shine a light on all the dark corners of your heart. Ask Him to use this last week to refine you and cleanse you. The title of today's reading is A Psalm of Fearless Trust in God. It talks about seeking one thing. During this time of seeking, it's easy to focus on seeking things from God instead of just seeking God--to seek His hand and not His face. Think of the difference between approaching a king to kiss his hand and approaching a loving father to kiss his face. God is both our King and Father. He is capable of meeting your needs and answering your prayers. But He also loves you more deeply than you can ever know. When you seek His face, you end up in a much closer posture to Him. Pray today that you will seek God's face and get closer to Him than you ever have before. Devotional This is one of the most dazzling stories in the Bible. You can surely relate to the situation these three young men faced--when facts fly in the face of truth. The facts were that they had broken the law, the punishment was death, Nebuchadnezzar was the most powerful man in the world, the fire was hot enough to kill a nearby guard, there were plenty more guards to throw them in, and they were either going to bow or burn. Period. But the truth opposed those facts, and truth was what the three men stood upon. The truth was that either their God was going to deliver them or they would willingly die in His service. The truth is that the Son of God walked with them through the flames. What facts are you facing that defy God's truth? Take the facts to God in prayer today and believe with a boldness that your God will be with you in the fire. Day 18 of 21 • Scripture: Joel 2:12-32Devotional Tear your hearts instead. You can finish strong by making sure you are weeping and mourning and tearing your heart open wide to allow God's power and presence to sweep across the landscape of your life. Tell God today that you are baring your heart before His mercy, compassion, and unfailing love. Ask Him to give you the courage to join His advancing army. Ask Him to open your eyes to dreams and visions. 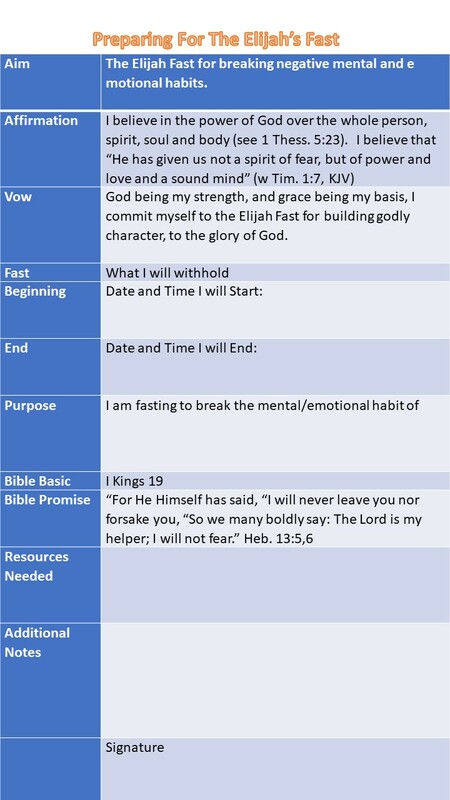 Devotional Are you considering continuing your fast or maybe beginning new habits of regular fasting? In thischapter, people are wondering if they should continue the fasting calendar they had kept and the Lord answers through Zechariah. Since Moses' time, God instituted a whole calendar of fasts and feasts. Both were designed to draw His people closer to Him. If drawing closer to God is your goal every day, both times of fasting and feasting can be holy to the Lord. Take time to allow God to speak to you about your fasting experience. Ask God to help you reflect on the ways your fast has softened your heart and influenced you to treat others differently. Copyright 2012 Prayer-warriors4life. All rights reserved.